With thousands of residents working without pay or furloughed for more than a month, Fairfax County, is considering additional steps to help those struggling to make ends meet. WASHINGTON — With thousands of residents working without pay or furloughed for more than a month, Fairfax County, Virginia, is considering additional steps to help those struggling to make ends meet. The concerns would rise to an even higher level if the shutdown continues into March, county supervisors and the county executive said. “I don’t think any of us thought that we would be this far into the shutdown,” Board of Supervisors Chairman Sharon Bulova said. With no end in sight, the county is considering a number of additional options to provide assistance. Among Bulova’s proposals outlined at a Board of Supervisors meeting Tuesday are delaying the Feb. 15 deadline for certain car tax payments by 90 days for all taxpayers; requesting leniency from utility companies for county residents; and coming up with options to fill a potential $4.9 million-per-month hole in housing assistance payments that would open up if the shutdown continues past Feb. 28. “In total, approximately 5,000 families … could lose their rental assistance,” Bulova said. Situations like that are why Supervisor John Cook and others want to highlight the burden the shutdown is placing on local governments: “$5 million a month is a big, big deal, and it shows that this national disgrace of a shutdown is not theoretical,” Cook said. “You know, we’re not even now just talking about federal employees. As much as some people in Fairfax County may be struggling now, County Executive Bryan Hill said the threat of a cutoff on housing assistance, Supplemental Nutrition Assistance Program benefits (also known as food stamps) and other federally supported benefits makes Feb. 28 a major tipping point that would turn an already bad situation even worse. “That is D-Day as far as I’m concerned for our county as opposed to just the federal employees,” Hill said. Fairfax County is also talking to charities that may need additional assistance to meet growing needs during the shutdown. Federal employees are set to miss a second paycheck this week. 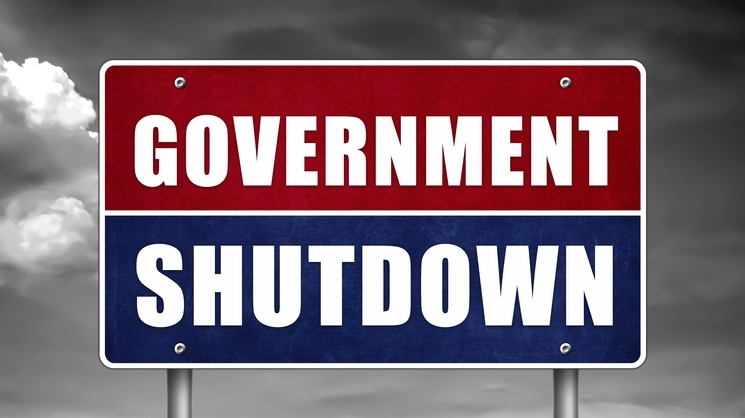 Federal contractors face additional challenges, because they are unlikely to get back pay when the shutdown eventually ends. According to estimates from the Metropolitan Washington Council of Governments, 19.5 percent of the region’s federal workforce lives in Fairfax County, the largest share of any local jurisdiction. Montgomery County has 18.2 percent of the federal workforce, Prince George’s County has 17.1 percent, and the District has 15.4 percent. Fairfax County supervisors expect to consider a package of assistance plans at their next meeting Feb. 5, including any extensions for the car tax (also known as the personal property tax) deadline on vehicles registered in Fairfax County after July 1, 2018, as well as possible funding for March housing payments. “We are really trying to put a complete picture on this to see what we can do as opposed to doing it piecemeal,” Hill said. The county is already allowing federal workers on the job without pay to ride Fairfax Connector buses for free. Loudoun County, Virginia, has the same offer for Loudoun County Transit. Fairfax County has also highlighted child-care-assistance options, including discounts or payment plans, and it’s supporting “stuff the bus” food drive events. Mental health services are also critical with more families struggling, Supervisor Cathy Hudgins said. “You hear the fear and the emotional impact that this is having,” she said. The impacts would likely continue after the shutdown ends, with late fees on bills and some period of time before paychecks actually get processed. Local governments like Fairfax County also are unlikely to make up losses in sales taxes, gas taxes, transit fares or other revenue lost as a result of ripple effects from the shutdown.